Quiet bay at the RIU St. Martin. A group of Stand Up Paddlers from California got to thinking about a paddling vacation in a warm tropical climate. 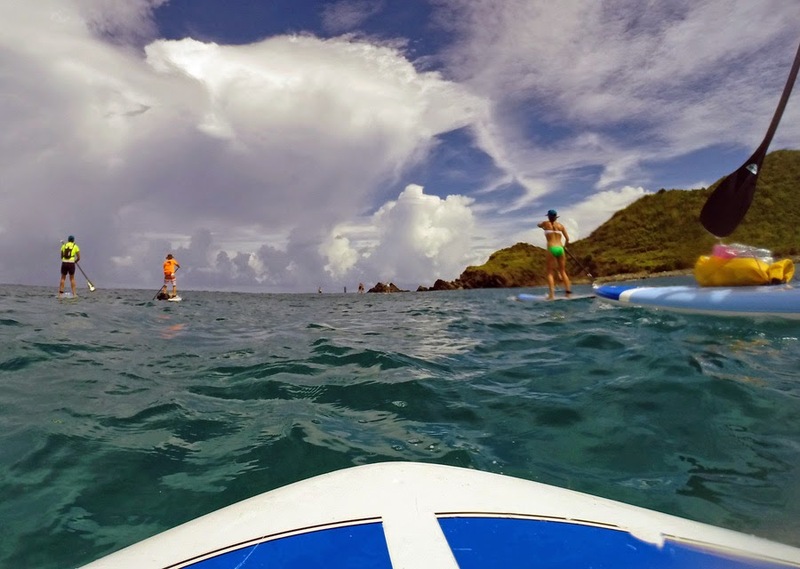 As if by coincidence, a Sacramento based company called Flow Stand Up Paddle put together an adventure/play/paddle vacation on the island of St. Martin. 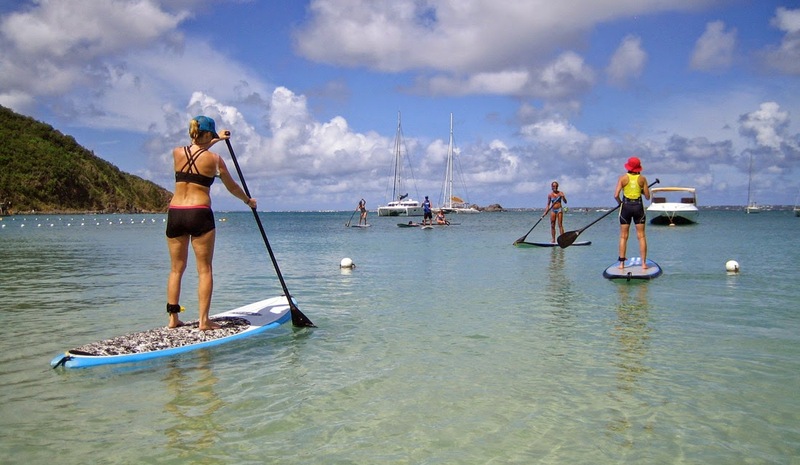 St. Martin is an ideal island for paddling. 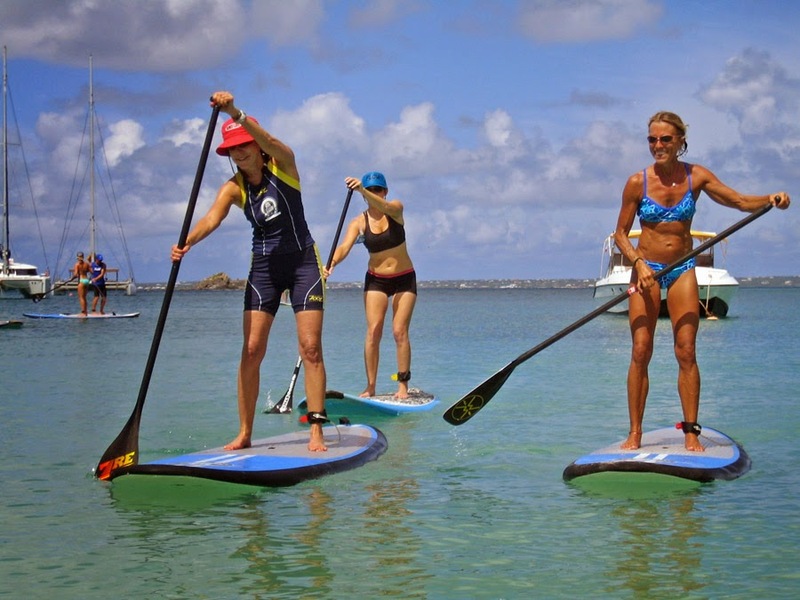 St. Martin has flat water, open ocean, downwind, upwind, protected bays, and surf to paddle. The expansive beaches have soft white sand and the ocean is warm and inviting. St. Martin is 34 square miles in size, divided into two countries, Dutch and French. We stayed on the less commercialized French end of the island. Our itinerary included plenty of SUP time for sure, and it included zip-lining, snorkeling, a catamaran trip, outrigger canoe surfing, and kayaking. We also had plenty of time in the evenings for dinner and libations with the friendly locals at the many taverns and restaurants in the cities of Grand Case and Anse Marcel. We brought our paddles with us from home, but we used paddle boards from a local supplier. Most of the boards were wide body 11/6's with a fair amount of bangs and scrapes. We didn’t really care about the board quality though, we were just happy to be paddling in paradise. We were on island time after all. Who was in a hurry? Some of us had never paddled in the open ocean before, relying instead on flat lakes and rivers to feed our passion. The ocean swells were a little tricky to negotiate at first, but everyone got the hang of it pretty quickly. We stayed together as a group when we traveled on point-to-point routes. We regrouped at sandy beaches for swimming, snorkeling, and conversation. It's amazing how fast you can learn new challenges and techniques of paddling when you don't mind falling off your board. The water was so warm and pleasant that falling was rewarding. 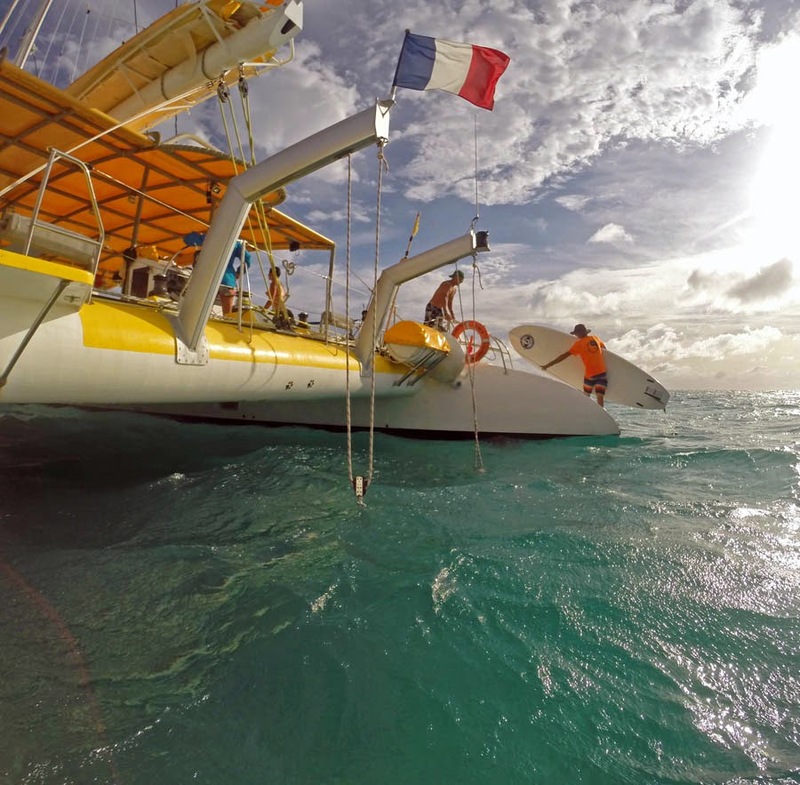 The St. Martin Tourist Bureau lists the average ocean temperature as 83 degrees in November. I believe this temperature was accurate. Falling off the board into this ocean was fun! End of the day. Rum time! We all got to try SUP surfing. Playing in the waves with a SUP was a blast. We had to be a little careful of some waves that broke on a rocky section of the beach, but we weren’t really concerned. As luck would have it, one of our guides scraped his hand on the rocky beach. No worries. He got the longest ride of the day so it was all good. Our group had a great time in the tropical playground of St. Martin. We tried new activities and sharpened existing skills while making friendships that will last a lifetime. Our trip lasted one quick action packed week. Pack your paddle and head to the tropics!